Easily master your guitar fingerboard. At the beginning of 2016, the second edition of my book had been available on iTunes for a while and many people had been asking if the book would be available in other formats. 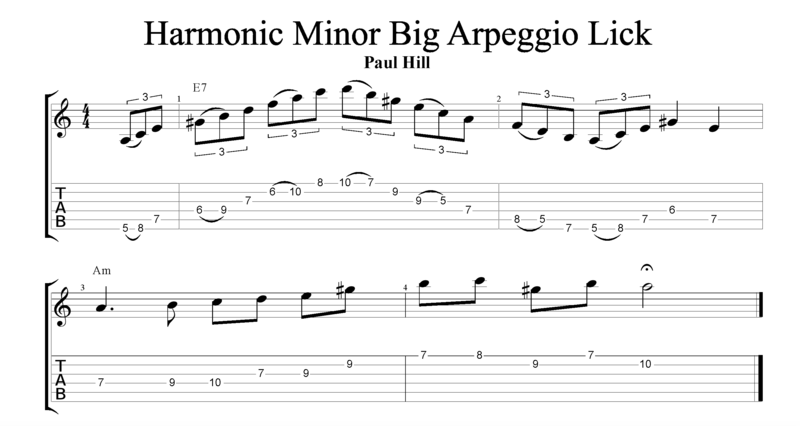 I started work on guitartheoryandtechniquebook.com and the great news is that anybody can now learn how to easily generate all scales, arpeggios and chords on the guitar fingerboard, as the Paul Hill Guitar Theory and Technique book is now available to read by subscribing. In addition to being able to read my book as it would appear in iBooks, there are also supporting videos to explain all the sections in detail, and many extra videos showing different techniques and ideas that are regularly being added. The Paul Hill Guitar Theory and Technique book teaches you how to visualise the fingerboard and gives you tons of ideas that you will understand and be able to apply and remember. Three packages are available ranging from a one month membership to a discounted full year membership. If you buy the “season pass”, you will have a year’s worth of guitar tuition with the emphasise on understanding. Videos are regularly being added and I have some great ideas for upcoming videos. All subscription packages now include a 24 hour, free trial period. Stop wasting years in learning scale, chord and arpeggio shapes parrot fashioned, and start to truly understand the guitar fingerboard. It is actually a very easy instrument on which to generate all the scales, chords and arpeggios once you understand how it all works. For less than the cost of a couple of private guitar lessons, the ‘season pass’ gives you a year’s worth of guitar tuition that can be accessed at any time to suit you. Take me to the tab! Full access to The Paul Hill Guitar Theory And Technique Book as it appears on iBooks. Supporting videos to further help understand how to easily visualise the guitar fingerboard. Videos and notation (including guitar tablature) showing many musical ideas using the book concepts that you can easily incorporate into your playing. Access to any new content that is constantly being added. Get a 50% discount on Guitar Pro 7 when you choose yearly membership. Are you serious about the guitar and want to improve your playing? An accomplished guitarist needs to work on many areas of their playing. There are many great books and apps out there to help improve your ears, sight reading, song repertoire, knowledge of licks, etc. 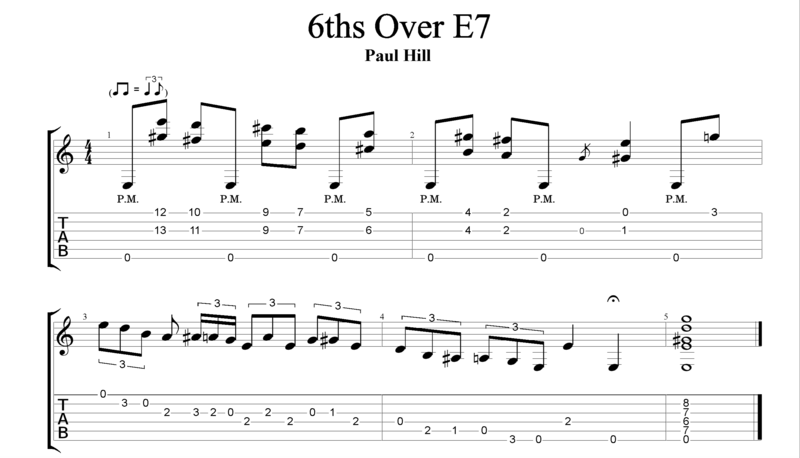 The Paul Hill Guitar Theory and Technique Book focuses on another extremely important area and that is how to visualise the guitar fingerboard. With excellent resources such as YouTube, it is now easy to learn songs, techniques and new sounds in any style. The tricky part is in understanding how these musical ideas are formed on the guitar fingerboard so that they can be easily memorised and used in other musical situations. There is no escaping the fact that a guitarist needs a secure knowledge of scales, arpeggios and chords, and understands how to use them. How can the Paul Hill Guitar Theory and Technique Book help you? When I was a young guitarist working hard on my playing, I bought many great guitar books that helped in my development. The books would often show scale, arpeggio or chord diagrams, tell me to learn them and then show me lots of great musical examples. The hard part was learning the fingerings, although the only method of learning them seemed to be repetition. I spent a few years trying to come up with easier ways to help learn all the scale, arpeggio and chord shapes on the guitar fingerboard and eventually came up with the concepts that became the first edition of my book. 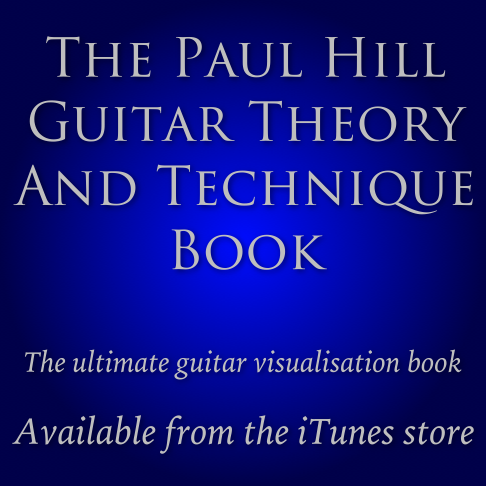 The original Paul Hill Guitar Theory and Technique Book was published in 2002 and received great reviews. It has always been very satisfying when a new student who has purchased my book comes for private lessons and already has a great fingerboard knowledge thanks to my book. The methods work! I have wanted to refine The Paul Hill Guitar Theory and Technique Book and add new sections for quite some time. I have tried to make the techniques of generating patterns for scales, arpeggios and chords even easier to understand. I feel that I have achieved this in the second edition. If you own an iPad or a Mac, check out the second edition of The Paul Hill Guitar Theory and Technique Book and unlock your guitar fingerboard today!